HR conferences are one of the best platforms to improve, innovate, and envision future opportunities as well as traits. Don't miss out on the great way to connect & interact with thousands of HR professionals who are as passionate about their work as you! 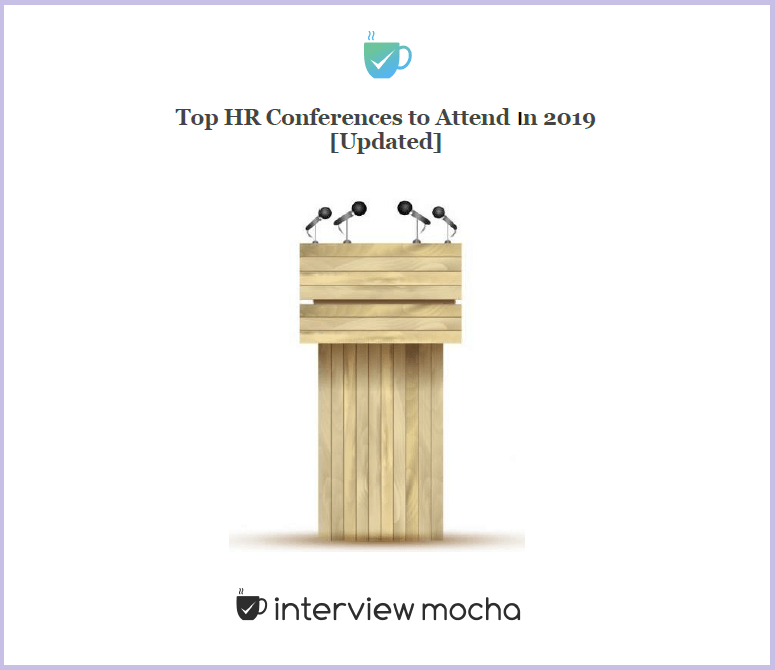 To help you make best out of 2019, Interview Mocha, an online assessment platform has compiled a list of top HR conferences being held in 2019 globally. So, what are you waiting for? Save the dates and plan to visit HR experts, innovators, and a new place! Scroll down and choose your favorite conference to attend this year, or simply jump on to the conferences happening at the city of your choice. Summary: 2019 Talent Management Strategic Conference features speakers from across the globe. Attendees will get insights on talent identification, acquisition, development, retention and workforce planning. To engage and optimize the workforce we industry leaders need to be aware of latest strategic and tactical trends. So enroll now & adapt, implement latest talent management practices to tackle future business challenges. Who Should Attend: Talent Management, Talent Acquisition, Workforce Planning, Learning & Training, Change Management, Leadership Development, Succession Planning, Performance Management, HCA, Human Resources. Summary: This conference will bring together industry experts and your peers in an interactive setting that encourages dialogue and discussion around current issues facing benefits and compensation. Explore best practices and innovative ideas to help employees better understand their packages and improve their experience. Walk away with insights on how to engage and retain your employees and increase the ROI of your programs. Summary: The HR Florida Leadership Conference is a forum designed to support volunteer leaders who serve 28 local Society for Human Resource Management (SHRM) chapters throughout the State of Florida. HR Florida’s goal and mission is to provide our 300 plus volunteer leaders with successful business strategies to ensure the continued operational success of their non-profit organizations. Who Should Attend: Talent Management, Talent Acquisition, Leadership Development, Performance Management, Human Resources. Jane Barrett- Vice President and Global Head of Workforce Planning & Analytics Ericsson Inc.
Summary: In an intimate environment among influential leaders, participants will benefit from close networking with peers and from the presentations and sessions that offer unsurpassed dialogue and discussion with speakers. It is a place where such interaction and Socratic questioning is applied to a full range of potential futures and solutions. An event you don't want to miss! Who Should Attend: This program is intended for senior HR leaders with 15+ years of HR experience who are responsible for planning the strategic direction of their organizations. Summary: HR tech conference is known for providing actionable and practical takeaways. Industry thought leaders, HR experts share their experiences to widen your perspective. Who Should Attend: HR professionals for knowledge gain & exploring the innovative HR tech software. IT executives, New & upcoming technology vendors to showcase their product and solutions. Summary: Span over 3 days, health & benefit conference is focused on helping employers in gaining the foresight to create excellent benefit package for your organization with best practices used by industry experts. Proven HR strategies from hospitality organizations of all sizes. Essential advice from seasoned attorneys with expertise in the particularities of hospitality law. Leading experts sharing their thoughts on the hottest topics affecting the industry today and much more. Who Should Attend: This HR conference has hundreds of attendees every year and has been designed and targeted towards those in the hospitality industry including Labor and Employment professionals. Summary: There is no better place for HR professional development than SHRM’s Annual Conference & Exposition. By attending, you’ll gain the tools and resources you need to implement successful HR practices – which help your company, succeed. Summary:HR west conference is the place to find out what’s trending. Here discover techniques for staying relevant and increasing efficiencies. Meet influencers, HRs, business professionals and gather all kind of talent from this level of expertise. Who Should Attend:HR west is for HRs, recruiters, talent acquisition, sourcing staff and for the professionals who want insights on strategy & leadership, engagement & retention, recruiting & communication. Summary: HCI’s 2019 Inclusive Diversity Conference will show you how to leverage neuroscience, data and simple behavioral design to make diversity and inclusion part of your everyday organizational culture. Get tools and best practices that have been wildly successful for both small and large organizations. Learn how to help your workforce adapt to new attitudes and organizational values. Summary: Hire19 features leaders who bring thought provoking perspectives on talent acquisition to help take your game to the next level. Share insights and best practices with 1200 talent acquisition leaders. Attend Success Circles and our Smart Lab to work with peers on your top issues. You will gain the knowledge and power to make your Smart-Recruiters, system sings, returning to your office as a recruiting rock-star. Summary: The i4cp 2019 Conference offers superior networking and thought leadership so you can better understand and address the critical talent issues facing your organization. Meet and collaborate with leaders from the world’s top organizations in an exclusive setting free of consultants and vendors. Who should attend: The conference is designed for senior-level HR, talent, learning, and diversity decision-makers from every industry and government sector. However, the conference is also a good opportunity for early-career HR professionals, as well as business leaders outside HR. 1.Lucy Helm: Lucy Helm is the executive vice president and chief partner officer at Starbucks. She will speak on how Starbucks is re-imagining its role as the Third Place. 3.Dan Price: Dan Price is the CEO of Gravity Payments. Honored as Entrepreneur of the Year in 2014, he earned international recognition for increasing the minimum wage for his workforce to $70,000. 4.Sanyin Siang: Sanyin Siang is a CEO coach, advisor to Google Ventures and the Executive Director of Duke University’s Coach K Center on Leadership & Ethics (COLE) at its Fuqua School of Business. Summary: Overcoming adversities and challenges is how we grow, prosper, and excel. Learn how talent acquisition professionals are doing just that in today’s candidate-driven job market. Don’t let the restraints of time and resources get in the way of taking just a little time to enhance your expertise, grow your network, develop new resources, and reach previously unattainable goals. Who Should Attend: Exclusively for Global HR professionals & PR actioners who are constantly striving to learn about latest innovations, topics in the world of global HR. Sandy Asch: Principal Alliance for Organizational Excellence LLC, bestselling author of ROAR: How to Build a Resilient Organization the World Famous San Diego Zoo Way, internationally recognized speaker, global consultant, best place to work expert and architect of the Resilience at WorkTM model. Summary: At HR Retail, the HR conference for retail and eCommerce, senior level executives will meet to share the insights and strategies needed to adapt in today’s changing retail HR world. Summary: Canada’s largest annual HR conference and trade show gives you an opportunity to consult with an expert on how to solve current pain points of HRs, connect with diverse range of HR, business professionals and the keynote speakers. Summary: Talent management conference and exposition features 50+ keynote speakers, 80+ sessions and 14+ PDCs. Help your organization maintain a competitive advantage by staying on top of the hottest trends in the industry. From diversity in hiring to workplace flexibility to generation-based recruiting and more, you'll leave this conference with the tools you need to level up your talent strategy. Summary: Build your talent acquisition function from attraction and sourcing to assessment, selection and on boarding. Learn how to beat the talent crunch in your organization by leveraging an array of strategies, tactics, and tools that go beyond a siloed approach to recruiting strategy. Explore the business cases for partnering with educational institutions to build the skills you need and investing in internal recruiting to leverage the people you already have. Summary: The HR, Diversity experts will share their experience on how they are coping with the continuously changing digital world of work. If you want to make new contacts in the HR vertical, learn the newest trends from innovators, then you must attend this HR Summit to add more value to bottom line of your business. Summary: The HRD Summit hosts the most senior gathering of HR Directors on the globe. The 2019 Summit will welcome over 1,000 attendees, over 150 speakers across 8 content streams, over 80 Exhibitors, over 250 Match Meetings and 11+ hours of networking spread across 2 days. Summary: The HR Strategy Forum brings CHROs, HR Directors, Heads of HR and other senior HR executives together with solution providers in a two-day HR business networking event. As a HR leader from your organization you have the opportunity to exchange ideas through one-to-one business meetings, speed networking and group discussions. In addition, there will be a range of speaker sessions focusing on hot topics including Human Capital Management, Workforce Planning and Performance Management. Summary: Join your peers in London for CWS Summit Europe, the premier conference for HR & Procurement professionals across Europe, followed by Collaboration in the Gig Economy, where all players across the workforce solutions ecosystem come together in a forum geared towards collaboration and innovation. Summary: The London HR summit is specifically organized for senior professionals who are directly responsible for the HR services of their organization, and those who provide the latest and greatest products and services within the sector. Summary: A highly focused event that brings together buyers and suppliers, the summit consists of one-to-one business meetings, interactive seminars and valuable networking opportunities; all to enable you to create lasting business relationships. Summary: The Conference is committed to providing a venue that stimulates thinking, generates new ideas, and offers timely and relevant information and opportunities for networking to enhance the professional development of HR professionals and their colleagues. Summary: The Rethink! HR Tech Conference 2019 is the leading HR summit bringing together CHROs & HR executives to discuss key industry topics, share knowledge, create new partnerships, and identify opportunities for their business. Summary: Strategic Summit HR: digital will focus on Digital Transformation, Chances and Risks, Contemporary organizational forms and management culture, Process Digitization & Automation, Workplace of the future, Work organization 4.0, Technological change and etc. Summary: 7th HR coreLAB Summit 2019 brings forward the best in class speakers from leading organizations to share their experience and expert knowledge. Summary: 6th International HR Conference Barcelona is a one of a kind conference with highly rated speakers, case studies, interactive sessions and a lot more. All in all a good platform for HR executives to interact and exchange ideas. Summary: The HRD EU Summit welcomes over 300 HR leaders from across the globe, representing a wide range of industries. Summary: from all over Europe congregate at #SOSUEU to collaborate, network & learn. Be in the room with the sharpest sourcing minds and hear first-hand, the challenges, new trends and opportunities that are shaping the talent sourcing landscape. Summary: This event features an ambitious, case-study driven agenda with over 40 front line perspectives from the highest levels of people management in Australia. In a closed, invitation-only format, delegates will benefit by interacting and learning directly from some of the world’s foremost companies. Summary: MASTERING SAP is home to five independent conferences: HR & Payroll, Finance, Technologies & Cloud, Business Analytics, and Security & Risk. Each with their own hot topics, schedule, speakers and more. Summary: Comprising three conference streams in addition to an expansive industry expo and program of free workshops and networking activities, the National HR Summit provides an event experience that is unique on the HR industry calendar. Summary: The HR Leaders’ Summit is a bi-annual, intimate, immersive three-day event where we bring together chief HR leaders and practitioners who are driven to take stock of the big bets through collaborative learning, and sharing. Summary: The Asia Human Capital Development Conference’s key focus is always on action that all companies can take home after the session. They bring together the experts and practitioners to share their industrial insights to ensure our talents continue to be Future Ready Now. Summary: HR Technology Conference & Exposition (US) and HR Summit (Asia) - will join forces in Asia to create what will be the region’s largest gathering for the HR and Tech industries – HR Festival Asia 2019. Summary: Join the leaders at South East Asia’s premier gathering of HR professionals to hear insights from industry heads, exchange ideas and build networks. Summary: It brings together the best of businesses, HR Leaders, HR Product & Service experts and HR Technology partners & start–ups from around the globe & presents a perfect opportunity to network with 1000+ delegates and explore the contemporary ultra-modern trends and solutions in the industry. Be a part of this path-breaking event to make an impact - on businesses, people and brands! Summary: People Matters TechHR is about anticipating and owning the future trends. Let’s talk about disrupting the future of disruption and reframing perspectives. In 2019, over 3,000 leaders will join us to raise the bar for talent transformation and HR technology once again. Summary: SHRM India HR Tech’19 Annual Conference is a platform where people management meets technology and attempts to bring the two together for a promising future. Summary: World HR Summit 2019 will be an excellent opportunity for the attendees to identify some of the latest technologies, innovations and strategies which will be showcased by our sponsors and exhibitors along with real time case study presentations, question and answer sessions, highly interactive panel discussions and strategic workshops. Summary: The conference concerns human resources, highlighting the latest solutions and best international practices, via speeches from world-renowned experts, specialists and professionals. Summary: In this Summit Human Resources professional from Africa, Europe and America are expected to participate and deliberate on the theme “Talent Acquisition Strategies for building Great Organizations”. The HR Summit will witness innovative and engaging sessions and deliberations by Eminent CEO’s, Senior HR Professionals and other thought leaders and over 100 exhibitors showcasing the latest in HR technology and solutions. Summary: The HR Directors’ Conference has been running for 10 years now and consistently offers a platform for HR leaders to connect, grow and share ideas with professionals from many companies and different industries across the country. The theme for 2019 focuses on HR leaders operating and leading in times of volatility and digital disruption. Summary: HR Innovation & Tech Fest is an awesome network of connected organizations, people, and ideas. HR professionals from the following 90+ companies attended HR Innovation & Tech Fest 2018. In today’s digital era we have many options to fetch new information, learn and update our knowledge. Every kind of information is available at our fingertips. But the question is, are we missing out the opportunities we cannot get through online media? Yes! Live HR events, HR conferences and exhibitions provide us many professional benefits that cannot find anywhere else. Learning Opportunities: Whether you are experienced, expert or a fresher. Learning is an on-going process and should never be stopped. Attending HR conferences or HR events will help you to gain insights on news ideas and trends. The learning approach of a conference will expose you to new ways of solving the problems related to your profession & discover how to be more efficient, productive and effective at work. Guidance of experts and Influencers: It’s difficult in our day-to-day life to get the guidance of experts and influencers from our industry. But the chance of being guided by your business idols increases by 90 per cent when you attend HR conferences. By meeting the industry experts you learn about the current business climate and make a connection that can lead to finding your next mentor. Plus you can ask them a solution for your current problems like attrition rate, sourcing, assessing or recruiting good candidates. Networking: HR conferences provide you a great opportunity to meet and make connections with the people from your industry. At such events people help each other uncover ideas and spark inspirations when they get to know each other on a personal level. If you attend HR conferences then you may get successful strategies used by your new connections and that can be implemented in your business for better results. To know 12 more reasons why you should attend HR events and consider sending your employees to HR conferences as well, click here! For every one of us in human resource profession, so many insightful and important HR conferences 2019 are approaching. These conferences are very important for all of us to learn, get guidance from industry experts/influencers and make new professional connections. The conferences feature great speakers, valuable sessions and attendees from every corner of the globe. So prepare yourself properly. Majority of the people attend the conferences without proper preparation & as a result they fail to get the maximum returns on the time and money spend. Why you want to be a part of the HR conferences? What do you want to achieve with the conference? Which people would like to reach? How will you meet them? How you will follow up with them? How can you get in touch with attendees well in advance? How will you manage your work at conference time? To stay updated about the conference download the app well in advance. It will help you to check the agenda, sessions timings, topics and the speaker. The apps gives you reminders as well so that you don’t miss out important session. Click here to know the other things to do before going to an HR conference. Pankaj Deshmukh is in the field of digital marketing. 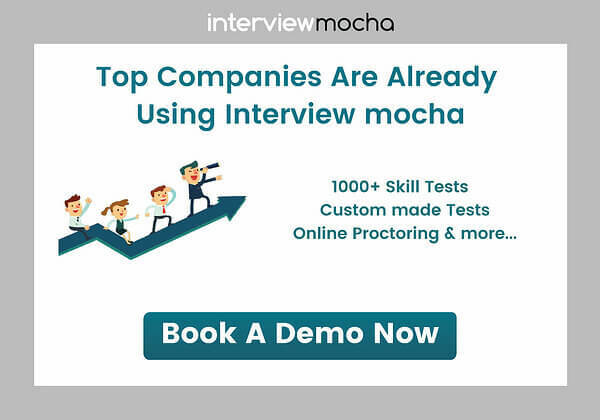 He works with Interview Mocha and produces content for the variety of blogs that cover topics from recruitment, social media hiring & candidate assessment. He believes that learning is never ending process and stays updated with the latest trends that are useful for producing valuable content.